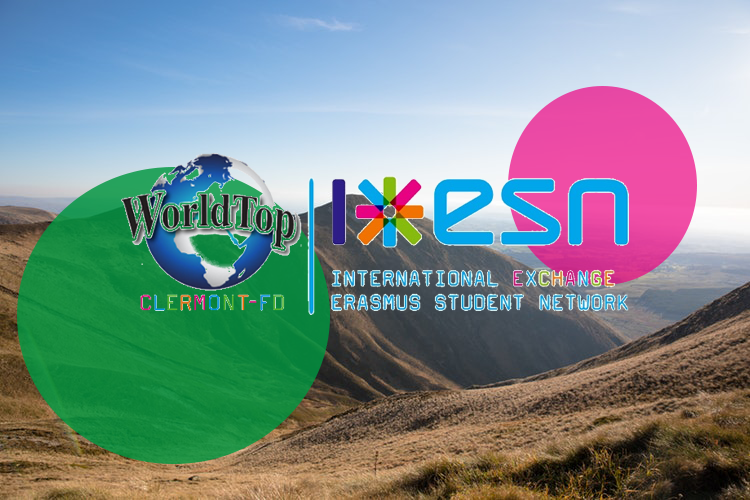 WorldTop ESN is an association which welcomes and helps the international students who make their mobility in Clermont-Ferrand (Auvergne, France). This network is aimed at helping international students to integrate and to create new friendships through several events and cultural activities. The association is composed by international students from all around the world who all share the same will to help and to bring something more to welcome them in Auvergne. You want to join us? Organize trips and cultural events? French, Belgian, Italian, Marrocan, Chinese, Brasilian, Canadian, Malian, Russian, Algerian, Kazakh, Moldav or even Auvergnat… everybody is welcome! Send us an email!